SEATTLE A judge set bail at $2 million Friday for a Las Vegas man arrested near the University of Washington in a truck that authorities say contained multiple weapons, maps to three Seattle campuses and a recording in which he said he planned to do something in the West to support protesters demanding reform in Brazil. 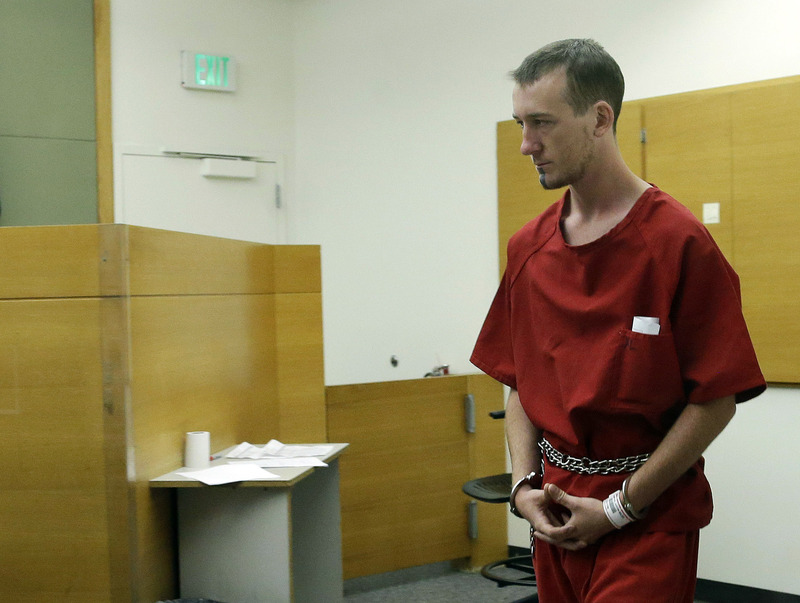 King County Judge Arthur R. Chapman said he set such a high bail for Justin Jasper because he considered the 22-year-old a flight risk and a threat to the community. Montana authorities said Jasper stole a pickup truck and guns from a truck driver in Butte, Mont., who had let Jasper stay at his home. At the bail hearing in Seattle, a prosecutor said authorities found six firebombs in the vehicle, along with a bolt-action rifle, a double-barrel shotgun, a machete and several knives. They also found a recording of a podcast that appears to have Jasper expressing support for protesters in Brazil. More than 1 million demonstrators have taken to the streets in Brazil over the past month to denounce everything from poor public services to the billions of dollars spent preparing for next year's World Cup soccer tournament and the 2016 Olympics in Brazil. Police found evidence that Jasper was planning some kind of action in support of those protesters, Senior Deputy Prosecuting Attorney Andrew Hamilton said. Hamilton said that on the podcast, Jasper said he was going to back the "Brazilian revolution" by doing something "somewhere in the Western United States." "I'm going to make sure people understand and notice it," he allegedly said on the podcast. Authorities also found maps in the truck to the University of Washington, Seattle University and South Seattle Community College. Court documents identified Jasper's occupation as a self-employed journalist. He has not yet been appointed a public defender. The truck driver from Butte reported to authorities Wednesday that he returned from a trip to find his pickup truck missing and guns stolen from his home, said Butte-Silver Bow Undersheriff George Skuletich. Jasper had been staying at the truck driver's home for about a month. Jasper was arrested Wednesday after University of Washington police were told to watch for a truck that had been stolen in Montana. University police saw Jasper sleeping in a truck near campus Tuesday night, the day before they received the stolen-vehicle notice. University of Washington Police Chief John Vinson said nothing came up in their system when they checked the plates Tuesday. Butte authorities are looking into possible charges, but none have been filed, Skuletich said. Vinson said the man had with him a scoped rifle, shotgun and fewer than 10 Molotov cocktails. "We have no idea what his intentions are," he said. "This is a very active investigation. We're trying to rule out everything at this point." Vinson said Thursday there did not appear to be any threat to the university campus.